IQbusiness deploys the best of breed wireless Internet solutions for hospitality, small business, and enterprises organizations. 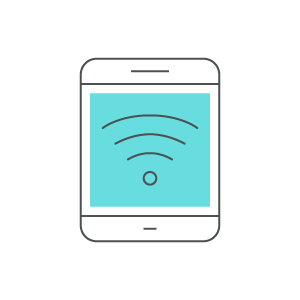 In today’s fast paced environment, Wi-Fi can be the difference maker for staff efficiency, client interactions, and positive vs. negative consumer reviews. IQ has Wireless Internet solutions that are easy to manage, easy to maintain, and simple to administer. IQbusiness partners with Ruckus Wireless, innovators of “SMART Wi-Fi, built for a mobile world.” With IQ you’ll have a partner who understands the complexities of wireless deployments, has evolved with the industry, and has chosen a partner that delivers the best Wi-Fi experience on the market – Ruckus Wireless. IQbusiness is well known for our work in hospitality, with hundreds of customers nationwide relying on Matrix for Wi-Fi installations, maintenance, and ongoing support. In fact, we staff a 24/7 in-house wireless support team that provides our customers and their guests with ‘round the clock world class customer satisfaction. With Ruckus Wireless and IQbusiness, businesses of all sizes can experience the high-octane wireless solution that a variety of industries are already experiencing. Improve efficiency and customer retention by delivering stronger performance, reliable connectivity, and bottom-line-crushing cost savings that deliver the strongest ROI on the market.